Higley Unified School District athletic director Art Wagner, 42, was found dead near Higley High School Wednesday morning, according to the Gilbert Police Department. Police say the matter is still under investigation, but believe Wagner died of a self-inflicted gunshot wound. Gilbert police Sgt. Jesse Sanger said a school employee found Wagner’s body near the Higley High School campus around 8:45 a.m. on May 15. Sanger added that the incident was not a school shooting and that all students are safe. Wagner, a respected educator and leader among state high school athletic circles, was the Higley district’s executive director of support services since 2012 and district athletic director since 2009. He was also nearing the end of his term as the executive board president of the Arizona Interscholastic Association (AIA), the governing body in this state for high school sports. 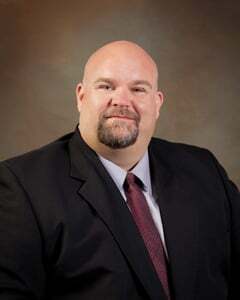 Wagner had previously worked at McClintock High School in Tempe and Ahwatukee’s Mountain Pointe High School, both part of the Tempe Union High School District. “Art was someone who always put others in front of himself, whether it be kids, coaches or parents,” said Mountain Pointe athletic director Ian Moses, adding that he was still trying to make sense of the news. Mountain Pointe principal Bruce Kipper shared that he, Wagner, and other educators golf together during the summer months. Tempe Union Superintendent Dr. Kenneth Baca released a statement to district employees mid-morning on Wednesday. • Jason P. Skoda of the Ahwatukee Foothills News and Kyle Odegard and Stacie Spring of the East Valley Tribune contributed to this report. The football coaches evidently can’t wait until August for their first showdown of the year.